The objective of our club is to foster interest in, and knowledge of, Scotland's wild places. We hope to encourage people to enjoy the outdoors through the activities of hillwalking and rambling. The membership fees are £2 per person, payable annually in April. We welcome new members, whether experienced walkers or novices. Cotswold Outdoor give up to 15% discount in store and online to SHC members. 1. For your safety please read the club guidelines and equipment information pages. 2. Contact the club secretary for more information. You will be informed about the meeting place and time and get answers to any questions. 3. Come out with us for a couple of walks to help you decide if the club is right for you before joining. Got a question? See our Frequently Asked Questions below. Will I be fit enough to walk with the club? If you have never done any hillwalking before it is best to try a lower level walk initially. These tend to be on the winter programme. If you have walking experience come out on a mid level walk to start with. It is always best to discuss with the walk co-ordinator beforehand if in doubt. 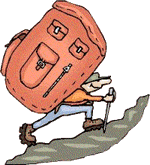 At the very least you need walking boots with good ankle support, waterproof jacket, a rucksack with food, water and spare clothes. See the Equipment Information page for more detail. What time do the walks start? The group meet up in Stirling just before 9am for most walks, then share cars to travel to the start of the walk. If there is a different meeting time this will be indicated on the programme. How long do the walks last for? This depends on the distance and the terrain. On average the club walks at 3k per hour (including food breaks), so a 10k walk would take about 3.5 to 4 hours. How much food do I need to take? Generally the longer the walk the more food you need. We have a midmorning snack and lunch stop on most walks and on longer walks there is often an afternoon snack break as well. What do the numbers in the programme mean? Lift = the total amount of ascending over the course of the walk, measured in metres. Distance = the length of the walk from start to finish, measured in kilometres. The grades must be considered along with the total ascent (climb) and distance of a walk. They are meant to give you an idea of the steepness and type of terrain the walk will be on. See a description of the grades. If the forecast is bad the walk co-ordinator may decide to change or cancel the walk. If the weather turns bad during the walk, the co-ordinator may opt to turn back or shorten the walk, depending on conditions. The membership fees are £2.00 per individual aged 17 and over. Membership is free for 16 year olds and under. Membership is renewed annually in April. What is the age group of the club members? Members can be any age (see below). Currently we are all adults. There is no age limit.16 year olds and under must be accompanied by an adult member. 17 year olds may be unaccompanied by an adult, but their parent/ guardian should provide written consent for participation in walks. Whatever your age you should be sufficiently fit for the walk. Stirling Hillwalking club does not ban dogs, provided they are well behaved, but you must contact the walk co-ordinator first to find out if the walk is suitable for dogs.